Agreement allows Scomi to continue its efforts in product development and innovation, focusing on further enhancing product performance and offerings to cater to the growing opportunities for rail systems across the world. Scomi Rail Bhd, a subsidiary of Scomi Engineering Bhd, has announced an agreement with Ricardo plc to collaborate in the development of a new driveline system. 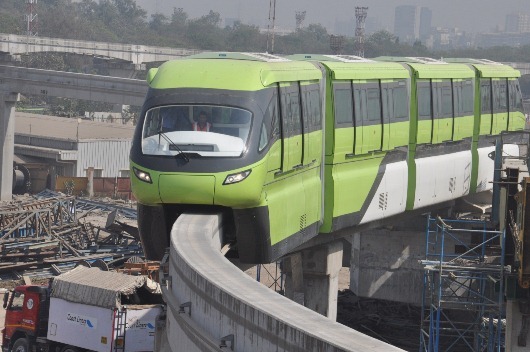 Ricardo’s world-class driveline design and development expertise will complement Scomi’s capabilities in the design and manufacturing of monorails, light rail vehicles and metro systems. As part of Scomi’s on-going product development and improvement initiatives, the company has contracted Ricardo to support its driveline system engineering activity. Ricardo is an established international leader in the development of high capacity durability and reliability transmission and driveline components and systems for multiple sectors from cars, trucks and off-highway equipment to rail vehicles and wind energy turbines. Suhaimi Yaacob, president of Scomi Rail said: “We are extremely pleased to be working with Ricardo on this project, which integrates Scomi’s acknowledged international leadership in rail systems innovation with Ricardo’s expertise in world-class transmission and driveline technology. Scomi and Ricardo share a common vision to deliver high-level quality products to rail operators thus improving consumer’s travelling experience. Our partnership with Ricardo will allow us to further enhance our products to cater to the growing and changing needs of rail systems across the world."